Sometimes it's fun to play the "villain." 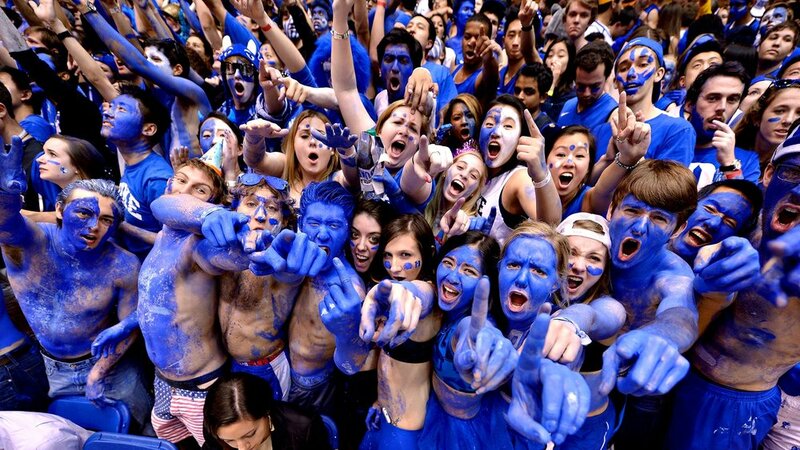 Being a fan of anything Duke, especially Duke basketball, thrusts you into this role whether you like it or not. People are programmed to dislike us, whether or not they've ever had a bad encounter. I read a great article yesterday that tried to explain this, which can be read here. With that said, no matter who you are or where your allegiances lie, you have to have the right attitude and mindset. My father said it best when as a kid I asked him a question about Duke and being a fan (for those of you who don't know, he went to Duke and is the reason I've been a Blue Devil my entire life). Essentially I asked my Dad whether or not he hated UNC and their fans. Much to my surprise he said "Absolutely not. UNC is a great school and it's a beautiful rivalry because of the fans from both sides. Having a good attitude and giving each other a hard time is great, so long as it comes from a place of mutual respect." At least he said something very close to that. Not everyone may view it that way, but at the end of the day sports is a form of entertainment, and that should never be forgotten. In any event, that was essentially the moment that I realized that you have to have the right mindset when it comes to rivalries and rooting against other teams. If people have the right mindset about it, then I love being able to play the villain. In fact, I embrace it. So tomorrow, Monday, April 6, when most of the United States is rooting against me and my Blue Devils, I'll be smiling. Hopefully the villain wins for the 5th time in the last 3 decades.